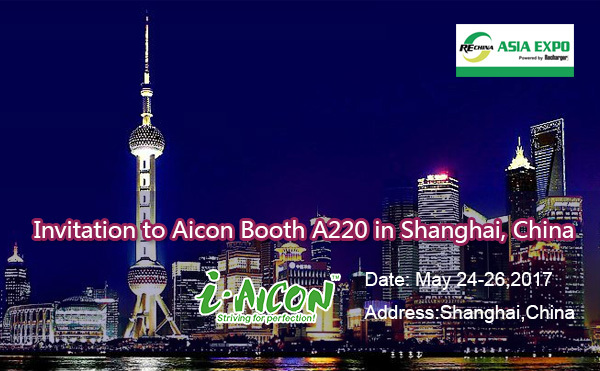 Invitation to Aicon Booth #A220 in Shanghai. Exciting news! Aicon will attend Rechina EXPO during 24-26 May,2017. best solutions to enlarge your business range. Now we sincerely invite you to talk and combine together to make miracles for future.